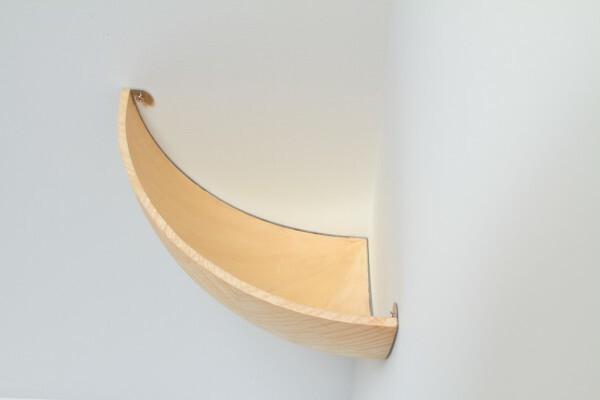 We proposed a shelf, focusing on corners, which inevitably exist in every room. 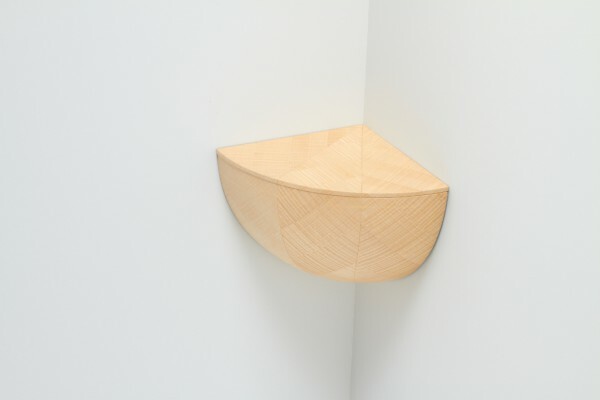 When a hemisphere is divided into a quarter and three quarters, the quarter snugly fits into a concave corner and the three quarters onto a convex corner. 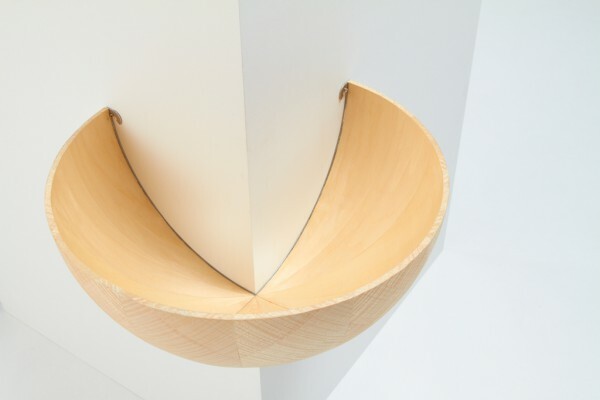 Based on this idea, we created a joyful and lightsome shelf that allows the user to adjust its height and also use it as a bowl to enjoy putting things in it just like playing a ball toss game in an athletics festival. 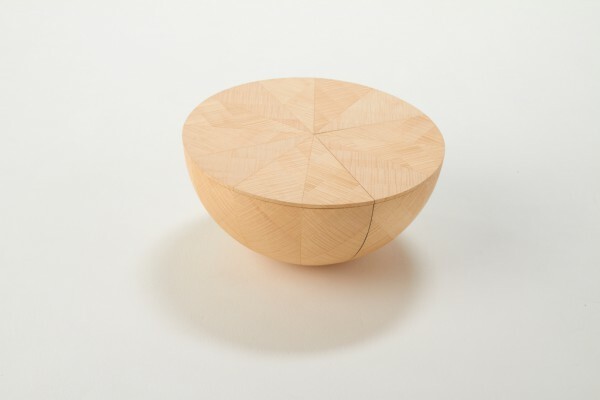 On the lid and at the bottom of the bowl, the radial patterns made by the alternately inverted wood grain of the shiny sycamore sliced veneer seem like twinkling stars. 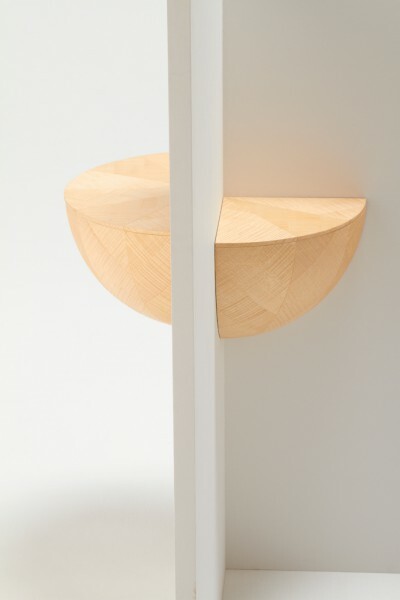 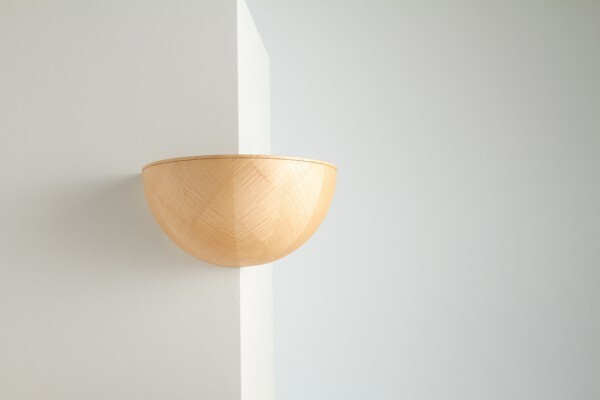 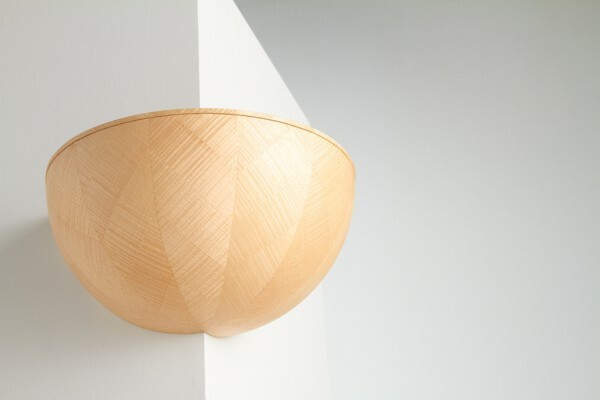 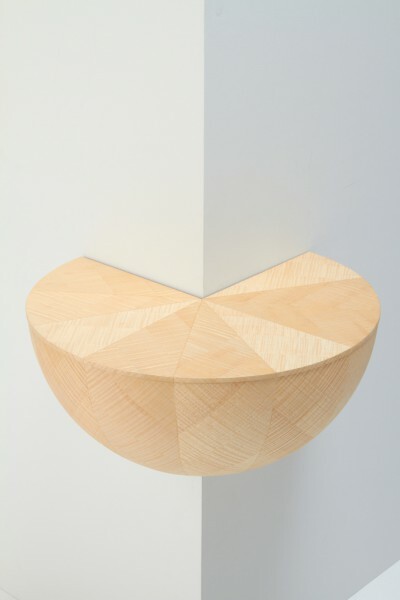 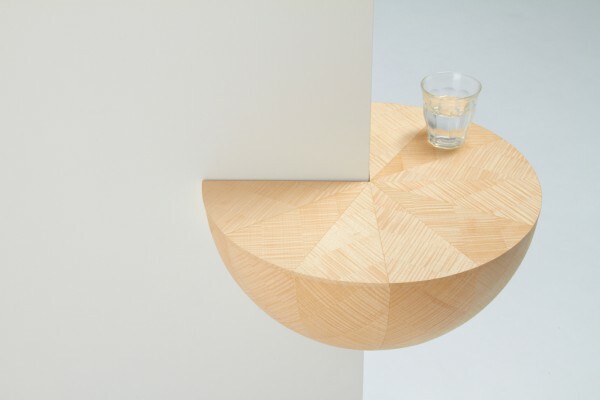 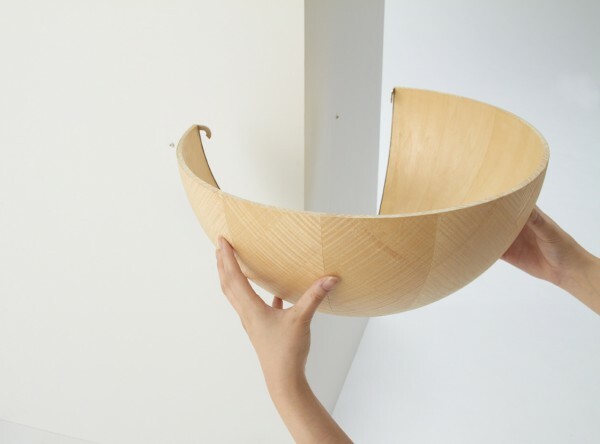 By splitting into two parts, this bowl catches edges and catches things to become little shelves in the corners of a familiar room. 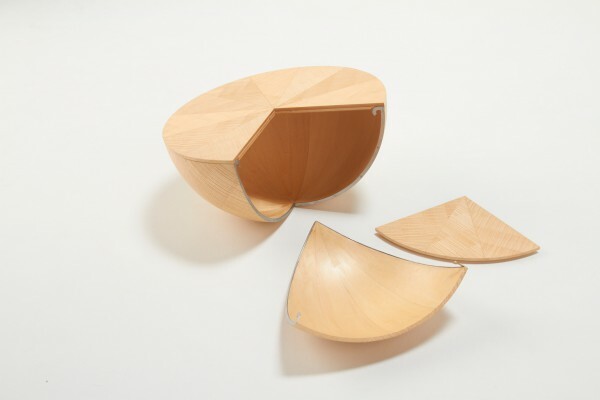 When one part catches its counterpart, they become one whole bowl again.